Decision-making in the aisles: informing, overwhelming or nudging supermarket shoppers? Recent findings suggest that while shopping people apply ‘fast and frugal’ heuristics: short-cut strategies where they ignore most product information and instead focus on a few key cues. But rather than supporting this practice, mobile phone shopping apps and recommender systems overwhelm shoppers with information. This paper examines the amount and structure of product information that is most appropriate for supermarket shoppers, finding that in supermarkets, people rapidly make decisions based on one or two product factors for routine purchases, often trading-off between price and health. For one-off purchases, shoppers can be influenced by reading customer star ratings and reviews on a mobile phone app. In order to inform decision-making or nudge shoppers in supermarkets, we propose using embedded technologies that provide appropriate feedback and make key information salient. We conclude that rather than overwhelming shoppers, future shopping technology design needs to focus on information frugality and simplicity. 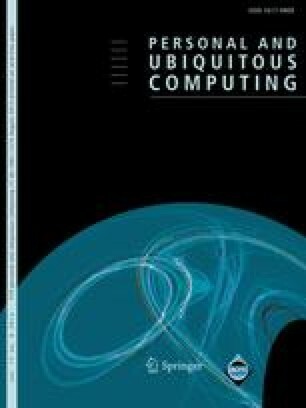 The research is partially funded by the EPSRC grant “CHANGE: Engendering Change in People’s Everyday Habits Using Ubiquitous Computing Technologies” (number XC/09/043/YR). We would like to thank our collaborators Nicolas Villar, Khaled Bachour, Stephen Payne, Peter M. Todd, Johannes Schöning, Antonio Krüger and Stefan Kreitmayer, all of whom have helped with the design and evaluation of the lambent shopping handle. We also thank our participants for coming shopping with us.